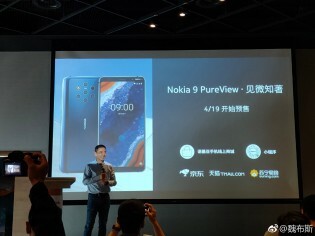 The Nokia 9 PureView will be available in China starting on April 19 (that�s this Friday). 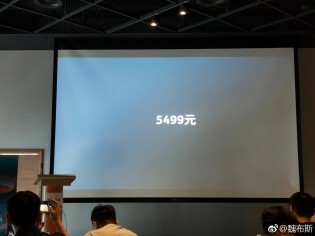 It will cost CNY 5,500 � $820/�725 � which is strangely higher than the price in the West. There�s no upgrade in memory, the models pack 6GB of RAM and 128GB storage as usual. You can read our review and watch the video review for details on the Nokia 9 and its one of a kind camera. It�s not a bad phone, but at that price we suspect it won�t find much success in China. HMD could have at least thrown in a pair of True Wireless Earbuds. i will buy two when it becomes available in Saudi Arabia... the BEST CAMERA PHONE there is in 2019!!! Well a bit expensive but camera quality is awesome compared to some other competition.